Thank you to Kells Tourism Facebook page who Kindly shared my latest blog post about Lucy Lockets, Kells, County Meath. I would also love to thank Lucy Lockets for sharing my blog post with their customers and Facebook followers. Merry Christmas! Overwhelmed by all the shares my blog post has been getting from Kells, County Meath this morning, thank you so much everyone. 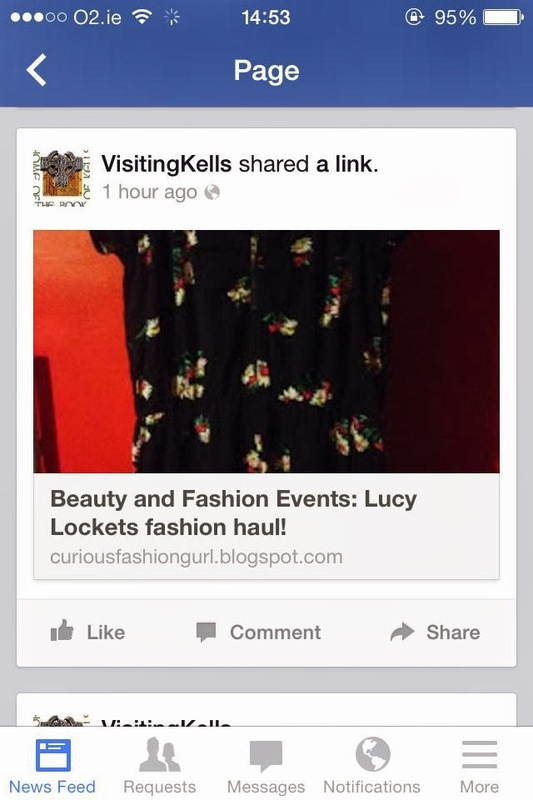 The 'Visiting Kells' Facebook page has now shared my Lucy Locket's fashion haul blog post! Go raibh maith agaibh!